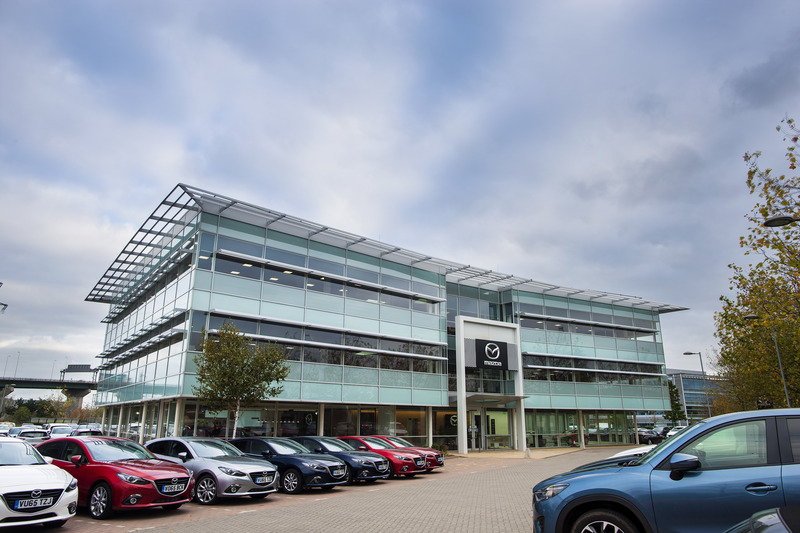 Mazda UK has moved into a new headquarters building in Crossways Business Park near Dartford, Kent. Located in the shadow of the Queen Elizabeth II Bridge, the opening of the 25,000sq ft three-story head office building comes at the end of a year that has seen Mazda enjoy an unprecedented year of new model launches and a starring role as Central Feature Marque at the 2015 Goodwood Festival of Speed. With one of the youngest model line ups in the industry, the last 12 months has seen the debut of the all-new Mazda2, the all-new Mazda CX-3 and the all-new Mazda MX-5, plus updated model year versions of the Mazda6 and Mazda CX-5. 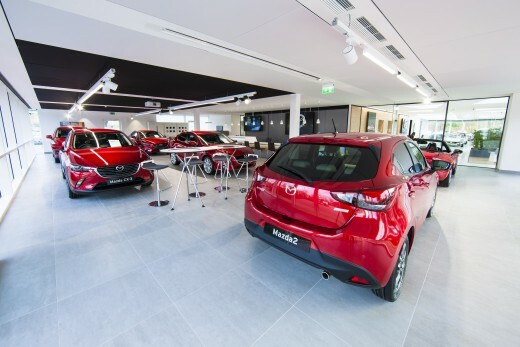 Housed over three floors, Mazda’s new UK headquarters combine showroom space with light, airy and modern offices. On the ground floor the showroom space replicates the premium look and feel Mazda’s 137 dealerships are moving towards. Sharing its floor tiles, furniture and lighting with the latest Mazda franchise specification, the unique headquarters showroom can be transformed into a 160-seat conference space and features hi-tech audio visual equipment. Designed to be used for dealer, fleet, media and customer events, the showroom is complemented by a flexible boardroom that doubles as a 60 person entertaining space when opened out to an area that houses heritage vehicles. “Open to the public in office hours Monday to Friday, our brand ambassadors will be on hand to welcome Mazda customers and guests to our new headquarters showroom, which has been designed to allow access to our cars and generate leads for our dealers. We’ll be able to refer people for test drives and make a perfect statement about the Mazda brand”, commented Mazda UK Sales Director, Peter Allibon. 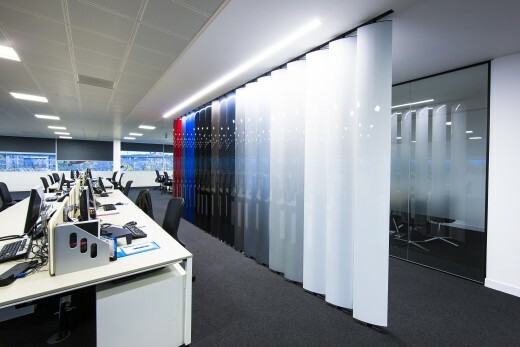 Built with sustainability in mind, Mazda’s new headquarters feature 100 per cent LED lighting, while the carpet in the meeting rooms and break-out spaces is made from recycled fishing nets. The Plexwood used on the building’s core is sourced from sustainable forests, while the Millboard decking used externally looks like authentic timber but is kinder to the environment. 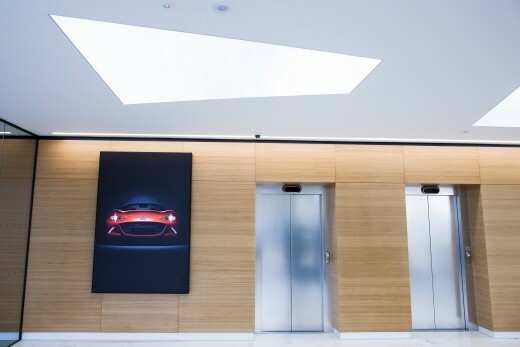 With the upper two floors containing open-plan, modern and welcoming office spaces that are designed to create an energised and creative working environment, Mazda’s new UK headquarters aim to connect the people working in the building with the brand. “Within Mazda UK we want our people to deliver a great customer experience, so the environment in the building reflects this, enabling our people to deliver on that customer expectation.” commented Mazda’s HR Director, Chris Clark. A showroom, a brand experience, heritage display, flexible entertainment space, adaptable meeting location and a fantastic working environment rolled into one, the new Mazda UK head office was officially opened on the 11th November by Jeff Guyton, CEO and President Mazda Europe and Yuji Nakamine, Director and Senior Managing Executive Officer, Mazda Corporation. Now fully operational it’s located at Victory Way, Crossways Business Park, Dartford, Kent DA2 6DT.